Just because there is snow on the ground it doesn’t mean pruning has to stop. Despite what many people think winter time is a very good time to prune a tree. During the winter the tree is fully dormant and tree disease issues such as fire blight transmission on apple trees, black knot infection on chokecherry, etc. are not issues. Another advantage is the tree can be fully observed and inspected by the arborist doing the pruning. In summer, parts of the tree are hidden by foliage and can easily be missed. Structural branch pruning is best done now. 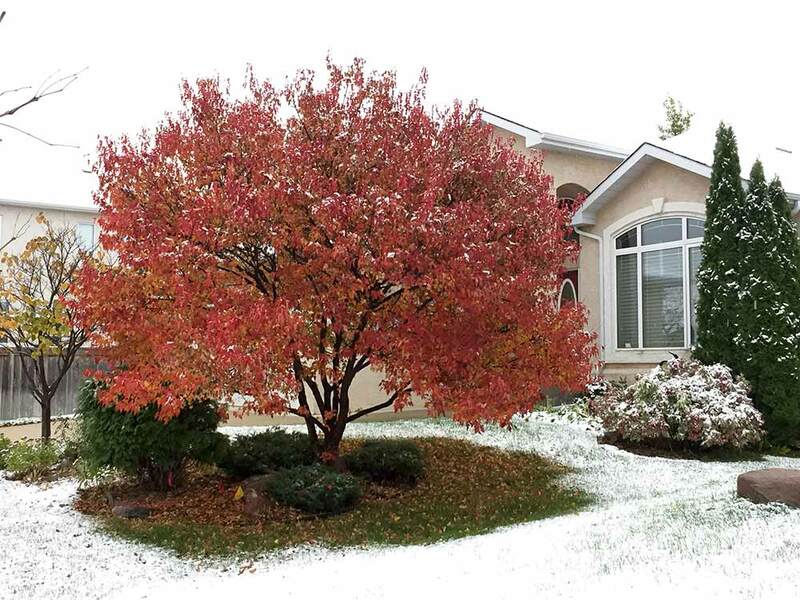 Pruning or tree removals done in winter have a minimal affect on the landscape since the frozen soil plus the snow cover minimizes impact of dropped branches. Winter tree removals reduce soil compaction, so trees and shrubs maintain healthier root systems. If you have an annual or perennial garden under the tree being pruned the impact on the plants will be negligible if done in late fall or winter. We recommend waiting for the dormant season for pruning in highly maintained garden areas.